A unique interior reflecting Solemar is distinct exterior lines and strong presence has been achieved by blending innovative design and the best fabrics, and furnishings. With a modern neutral palette throughout, the main deck living room, library, and dining room are emphasized by more traditional materials. Burr myrtle and walnut stained cherry wood paneling are complemented with bronzes by Corneille and Etienne, while the grand scale of the atrium staircase is defined by bronzed aluminum grating over antique- effect mirror. 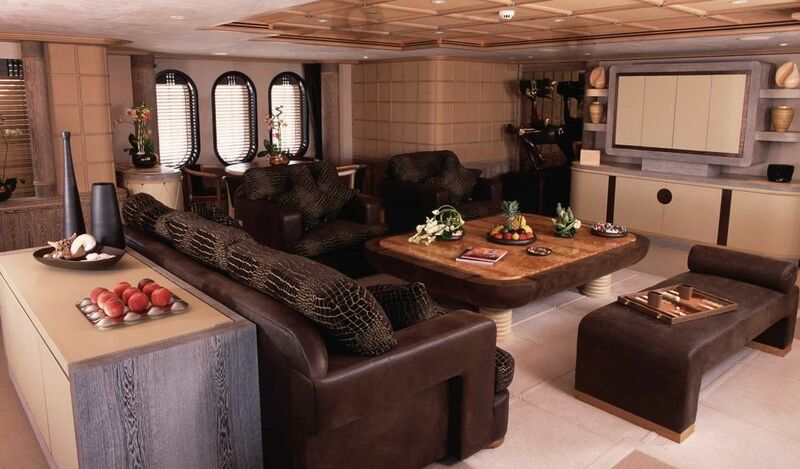 The upper deck is more contemporary in texture, with leather, rope and stone combined with reed detailing creating a dynamic upper living room complete with lounge seating, games table and bar. 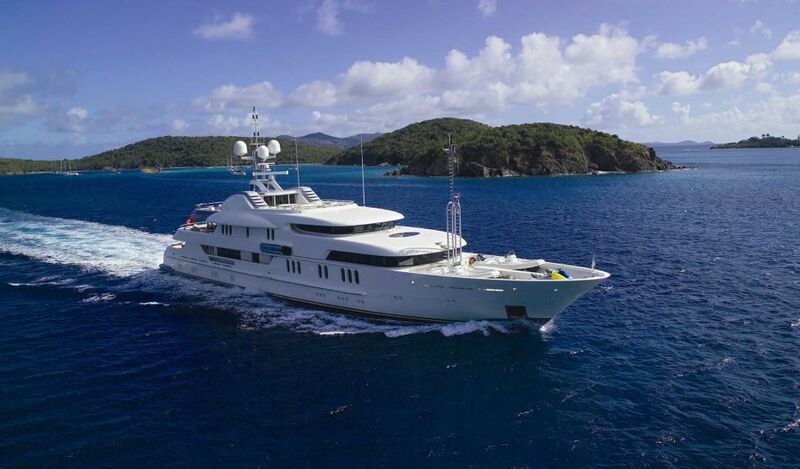 The inventive arrangement of water sports equipment situated on the bow and rear garage, results in Solemar is three expansive decks being devoted entirely to her guests. 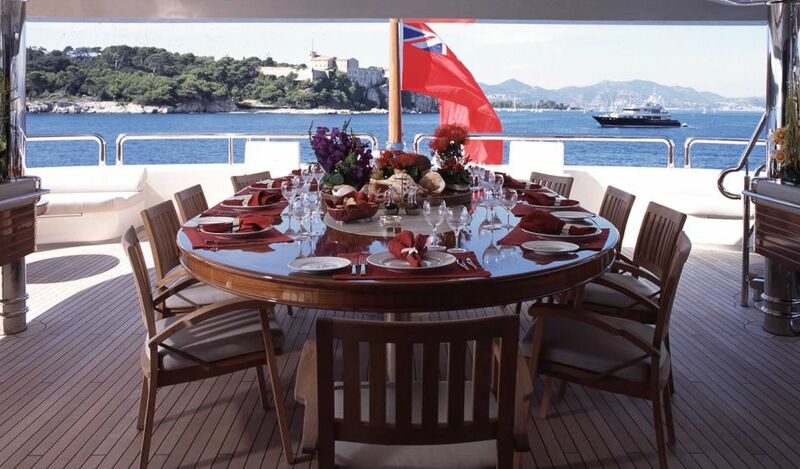 The main rear deck, with direct access to the expansive swimming platform, is the ideal area for relaxation before or after water sports, whilst it can also accept the dining table from the upper deck. The purpose for such re-arrangement is to allow for the stunning transformation of the upper deck, usually the perfect location for open-air dining, into a disco floor, complete with overhead lighting, a DJ mixing station and 2,000 watt sound system. 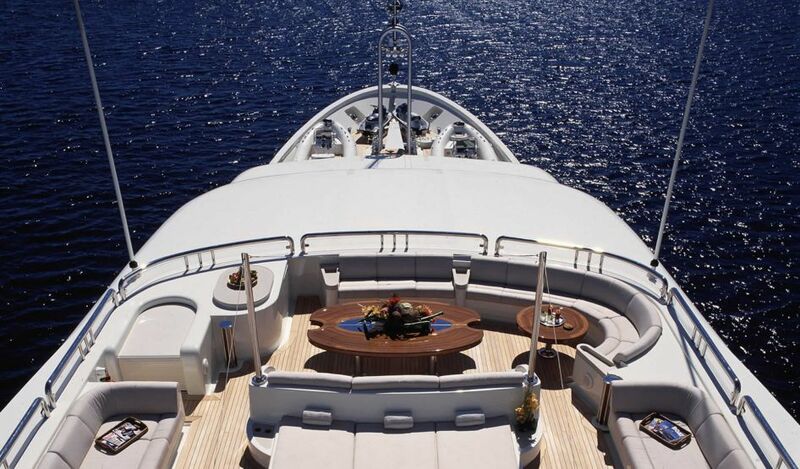 Solemar is crowning glory is her magnificent sundeck. 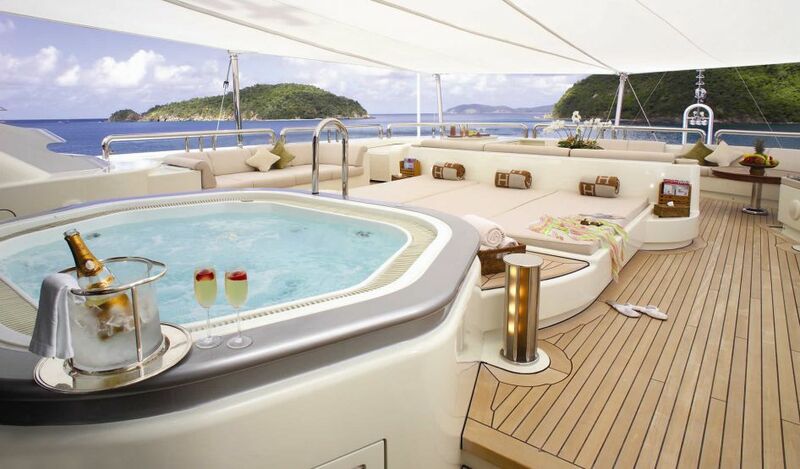 Comfortable sun loungers are located on the expansive rear deck while a Jacuzzi dip pool, additional sunbathing facilities and a dining area are positioned forward. Separating these two areas, is a fully equipped air conditioned gym, enclosed by glass walls with a sound system and panoramic views. 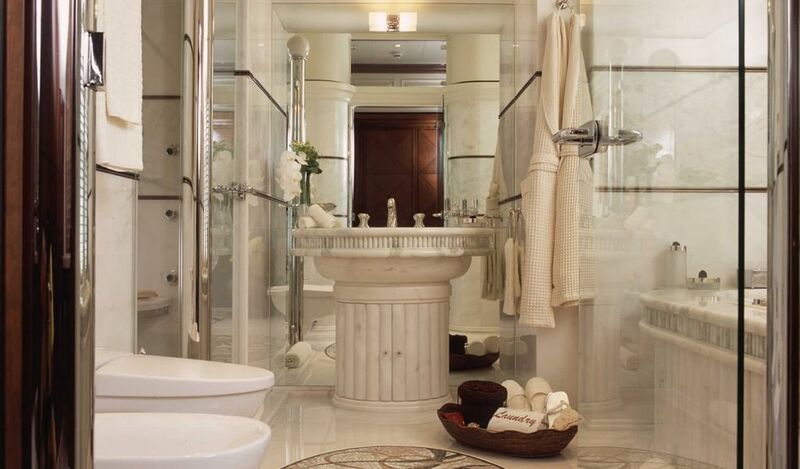 Solemar is accommodation features a spectacular two - story master stateroom, approached via a mirrored and bronze lattice-lined hallway, flanked by his and hers dressing rooms and marble bathrooms. 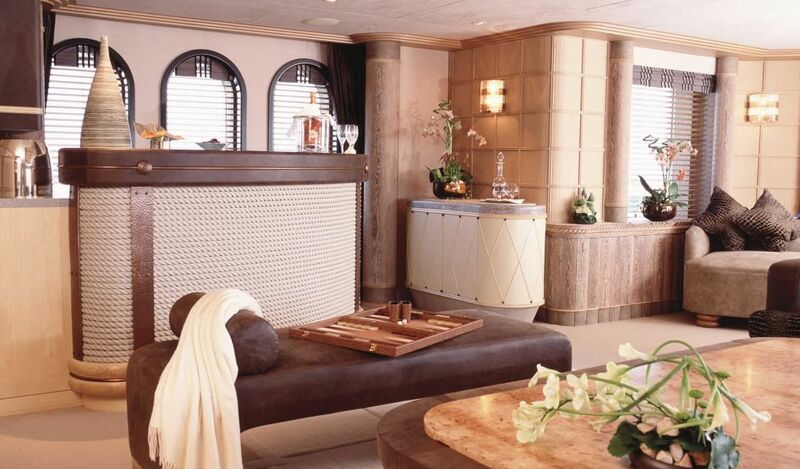 The impressive proportions of the stateroom itself are highlighted by a 4m (13) oval skylight and two levels of windows affording spectacular views from the private living room and study on the second storey. 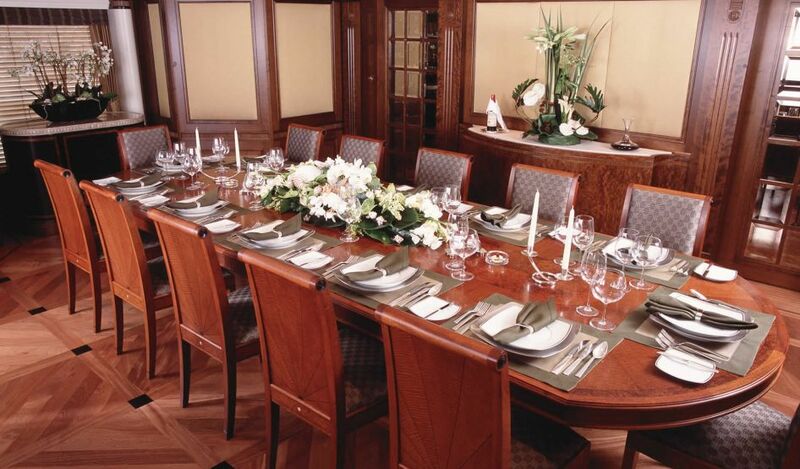 The proportions are balanced by outstanding interior craftsmanship, from the raised and fielded mahogany wall paneling and the curved leather topped desk to the silk wall panels inset with mother of pearl beading. 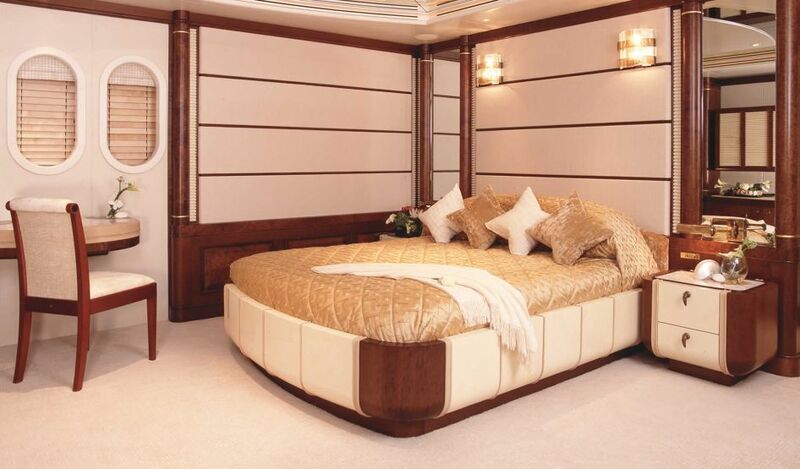 The master staterooms 4.2m (13.7) headroom gives more feeling of space. 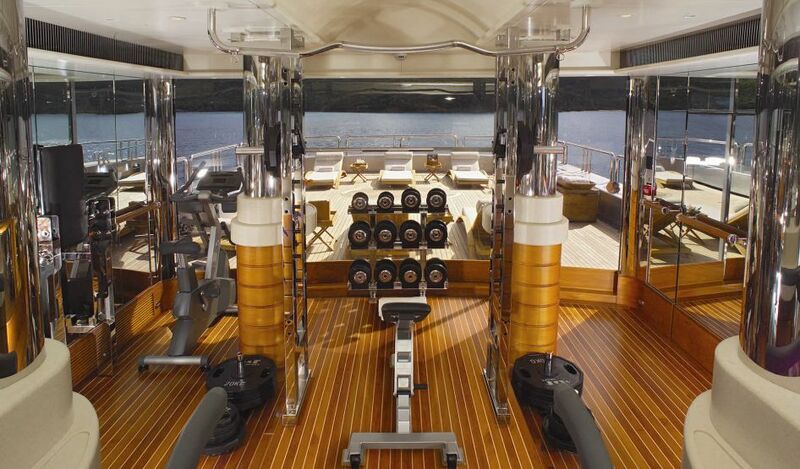 Solemar is wider than most other 60m yachts so she has more space. 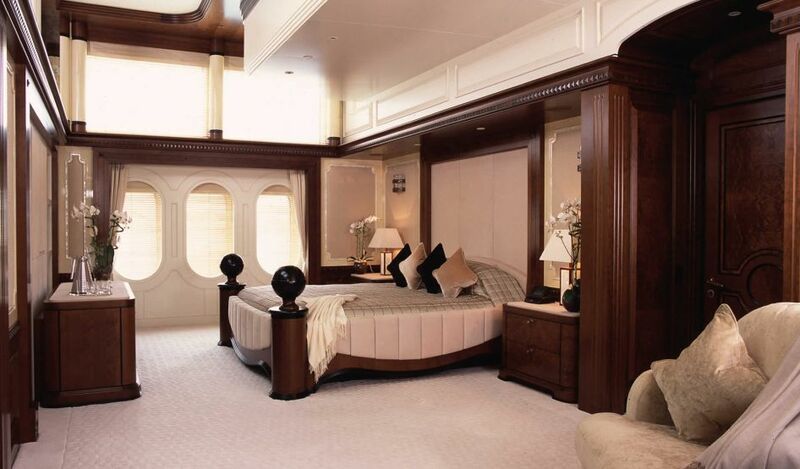 The master stateroom is larger than any other 60m yacht is master cabin. 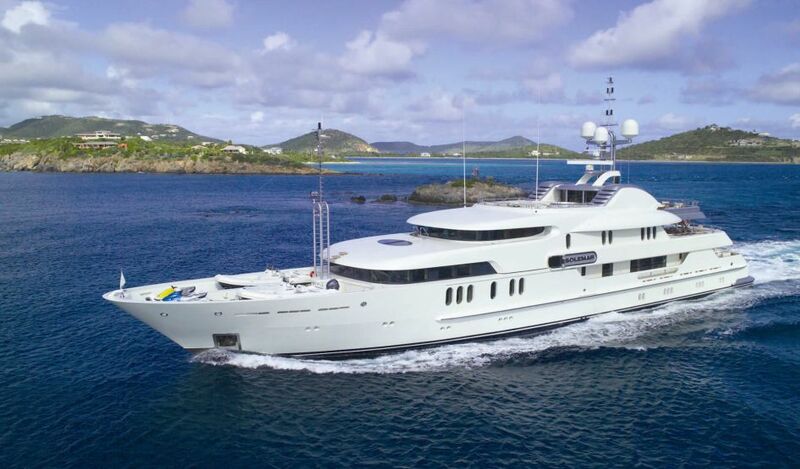 The excellence of Solemar is design construction is only matched by her highly trained professional experienced crew, who move freely around the yacht undetected by guests using dedicated crew stairways that extend across all 5 deck levels. 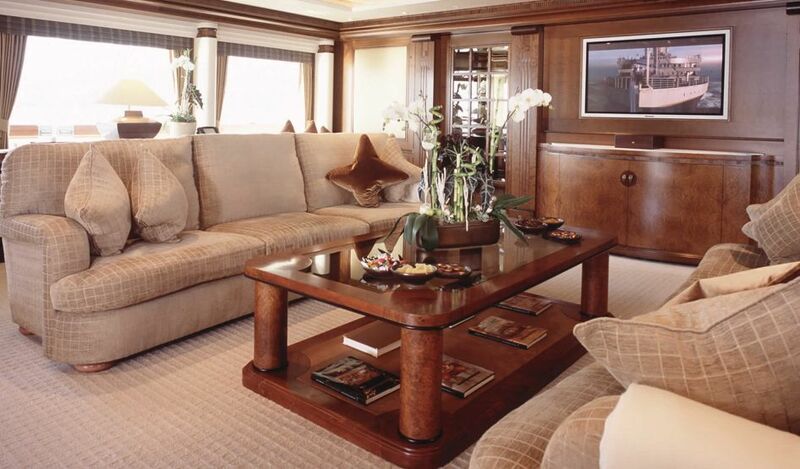 The crew of Solemar is forever discreet, attentive and on hand to supply your every whim.